Friday brunch is favourite pastime in Dubai (the weekend falls on Friday and Saturday, not Saturday and Sunday). Involving a four-hour all-you-can-eat marathon and hundreds of acclaimed restaurants across the city, here are the best breakfast buffets to start your weekend. Located at Jumeirah Beach Hotel, Latitude is a firm family favourite with a special focus on keeping tiny diners entertained with a separate kids’ play area and buffet. Parents will be equally impressed by the Japanese, Malaysian and Thai taste sensations available, as well as the relaxed atmosphere and extended timber terrace. Three restaurants at The Westin join forces to dish up almost every food imaginable at Bubbalicious. Featuring a sizeable sushi station, cheese section, oyster bar, live Asian cooking stations, British grub, mammoth dessert options and live entertainment, Bubbalicious is arguably one of Dubai’s most popular brunches. It’s little wonder why this brunch-time spectacle has earned so many awards and accolades, including the BBC Good Food Awards and Time Out Restaurants Awards. Located on the 52nd floor of the Dubai Mariott Harbour hotel, city views don’t get much better than from The Observatory restaurant, with magnificent 360-degree views across Dubai Marina and Palm Jumeirah. Directing the attention from the windows to your plate, there’s an impressive à la carte menu to order from, as well as buffet options and a great seafood station. The ‘Big Friday Brunch’ held weekly at Dubai’s Al Qasr hotel in Madinat Jumeirah is so sizeable it’s spread across two restaurants. As one of the biggest brunches you will find in town, it involves 48 hours of preparation, 130 chefs, 533 kilograms of meat and seafood, 35 live cooking stations and over 280 dishes from an incredible array of cuisines from around the world. Don’t leave without a visit to the Malibu station, where you can order a freshly-opened coconut, with coconut rum added to really kickstart your day. Few brunches can compare to the stunning over-water experience at Pierchic at Madinat Jumeirah. There’s an exquisite buffet selection encompassing foie gras to ice cream, but we suggest lashing out for their set menu and champagne packages, showcasing the best seafood in town with tiger prawns, sashimi, sea bass and lobster, paired with sparkling wine and Arabian Gulf views. 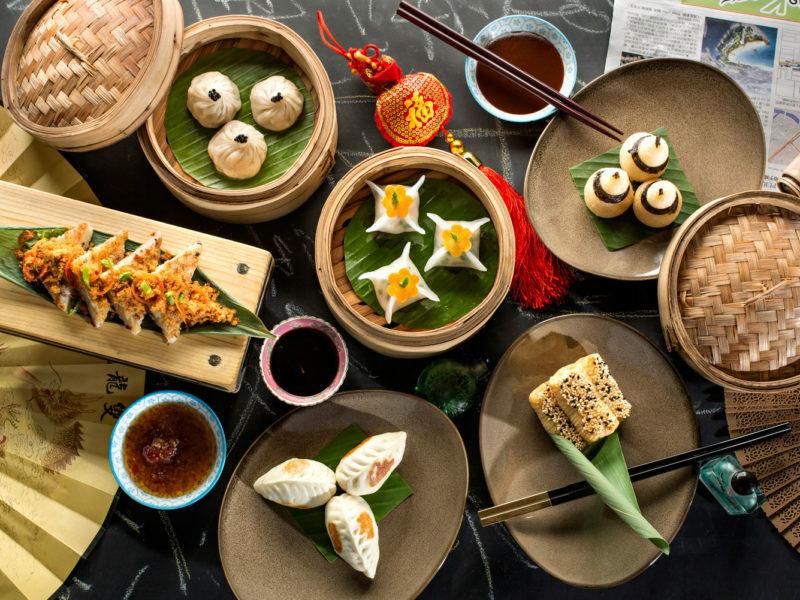 Zheng He offers Dubai’s first Beijing Duck brunch, with only three items on the menu that do not feature duck. The theatrical tableside duck carving from the restaurant’s own barbecue duck master makes this one of the city’s most unique (and tasty!) brunches. 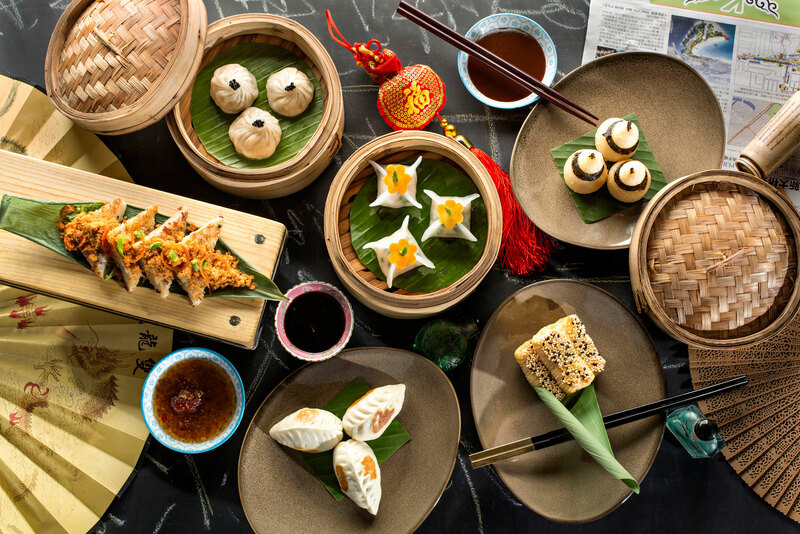 Expect pancakes, dim sum and contemporary Chinese fare, as well as experimental sharing cocktails to indulge in too. Friday Brunch at Traiteur at the Park Hyatt promises an elevated show kitchen where you can watch the team of classically-trained French chefs work their magic. Traiteur at the Park Hyatt. There’s also live cooking stations and a decadent menu of French cuisine from oysters to pork charcuterie, as well as a ‘Temple of Cheese’ where you can sample an array of international cheese and port. The lightly-caramelised scallops are a must. Dreaming of a Dubai escape? Watch this and you soon will!